By joining this challenge, you're going to walk in the shoes of Luz to raise awareness and funds for COHI. For one day of your choosing, you will eat her local diet and share your food images on social media, using #inhershoesCOHI. We welcome you to also blog about your experience. Find easy downloadable social media guidelines and your shopping list below! Luz is a mother caring for her infant daughter and 7-year-old son. After crossing the U.S./Mexico border she was detained by immigration officers and separated from her eldest child. Luz has heard conflicting stories from immigration officers about what will happen to her family. She is afraid of being incarcerated. Luz is unsure if she will be reunited with her son and reports inhumane treatment by the immigration officers at the detention center. 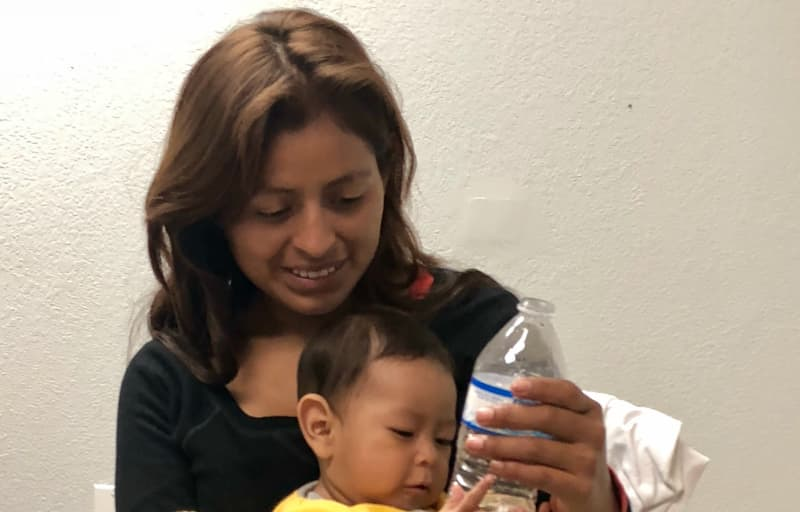 The diet provided by U.S. Immigration is poor, and Luz is having difficulty caring for her infant daughter due to the stress of losing her son.